EU and Nigerian law both ban the export of e-waste to Nigeria, but a new study jointly authored by scholars from UN University and the Basel Convention Coordinating Centre for Africa found that exported used cars represent a smuggler's bonanza for the illegal dumping of toxic waste. The issue is a complex one: Nigeria relies on importing both used cars and (working) electronics from the EU and elsewhere. The empty space in used cars is just wasted, so it's smart and thrifty to fill them up with working electronics that are destined for the same port. But jumbles of electronics stuffed into used cars are difficult to inspect, and smugglers have realized that they can exploit this difficulty to mix tons of e-waste in among the legitimate, working electronics, beating the e-waste export ban. The European Union has laws against exporting e-waste and dumping it in Africa, but the problem persists and, according to a new study, Nigeria is one of Europe’s prime dumping grounds. 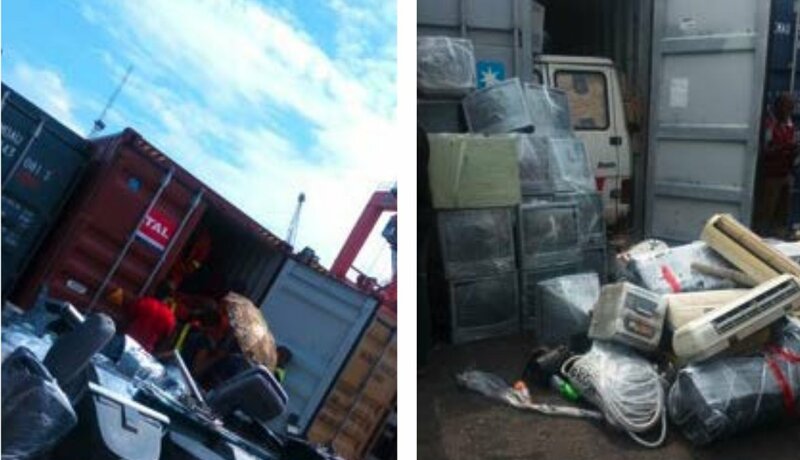 The United Nations University (UNU) and the Basel Convention Coordinating Centre (BCCC) for Africa partnered co-authored the study and found that 66,000 tons of used electronics shipped to Nigeria contained 16,900 that didn’t work.